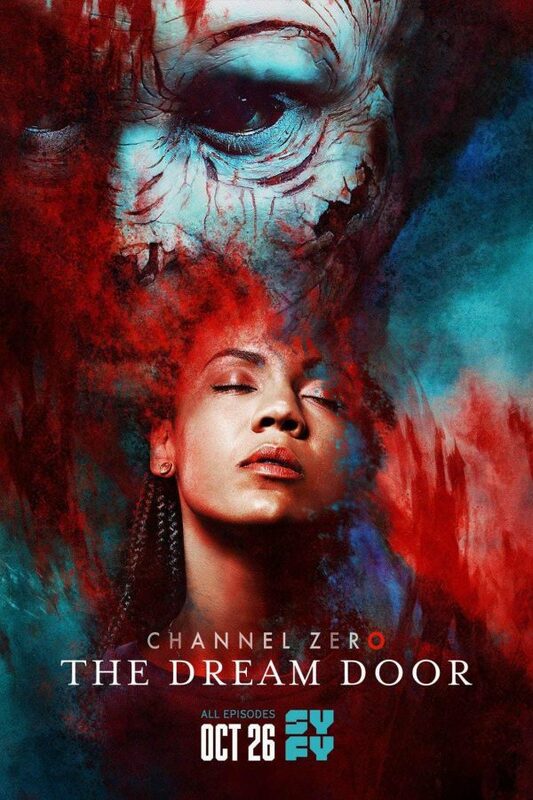 One of my biggest disappointments, is that more people aren’t raving about SyFy’s Channel Zero. The anthology show is about to premiere it’s fourth season, and is consistently one of the best horror shows on television. Adapted from internet-sourced creepypasta, the six-episode runs are visually stunning, and both emotionally and psychologically terrifying, usually eschewing cheap scares for something that goes deeper. This latest season is even directed by Evan Katz, who blew us all away with Cheap Thrills. Honestly, this rad trailer and beautiful poster should be all you need! Breaking up the format, SyFy will premiere Dream Door October 26th, with the rest of the episodes airing over a period of six consecutive days. Now’s a good as time ever to see what you’ve been missing, and if you have been watching, then you already know what’s up!